Who wouldn’t want to toss fruit jar rings — or any rings, really– at this adorable elephant’s trunk? 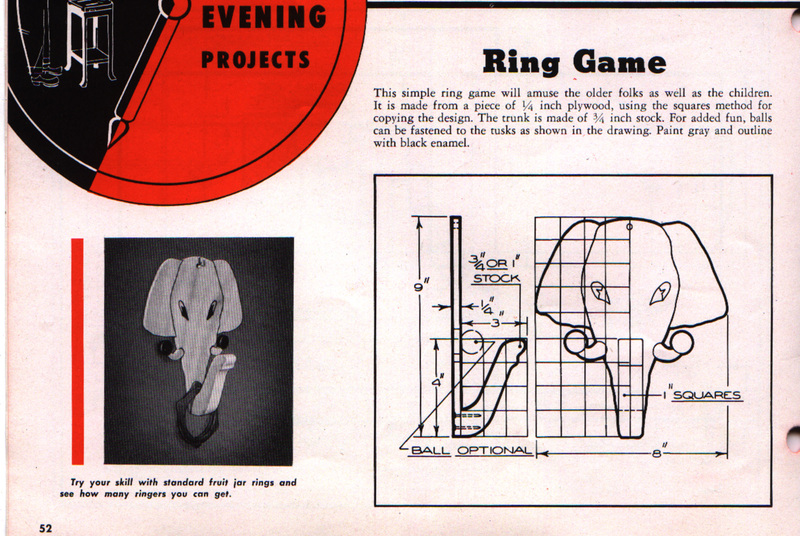 A “one hour evening project” from Deltagram, May/June 1943. 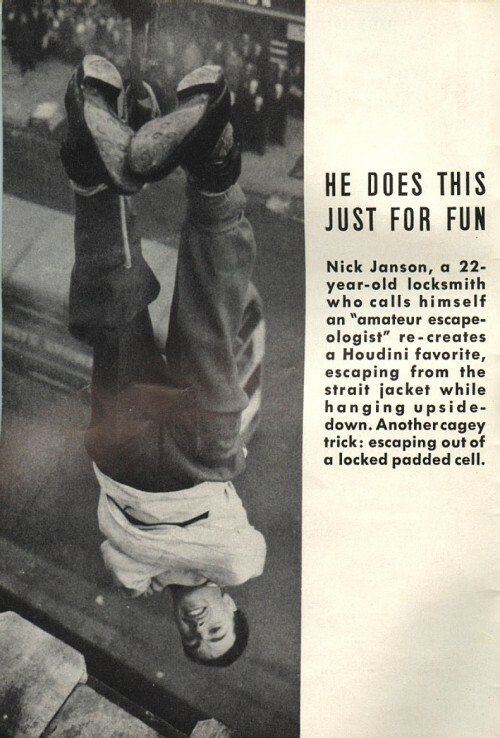 Nick Janson, a 22-year-old locksmith who calls himself an “amateur escapeologist” re-creates a Houdini favorite, escaping from the straight jacket while hanging upside-down. 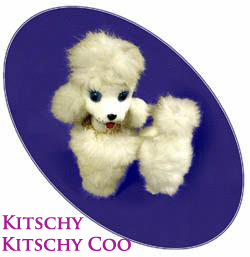 Another cagey trick: escaping out of a locked padded cell. 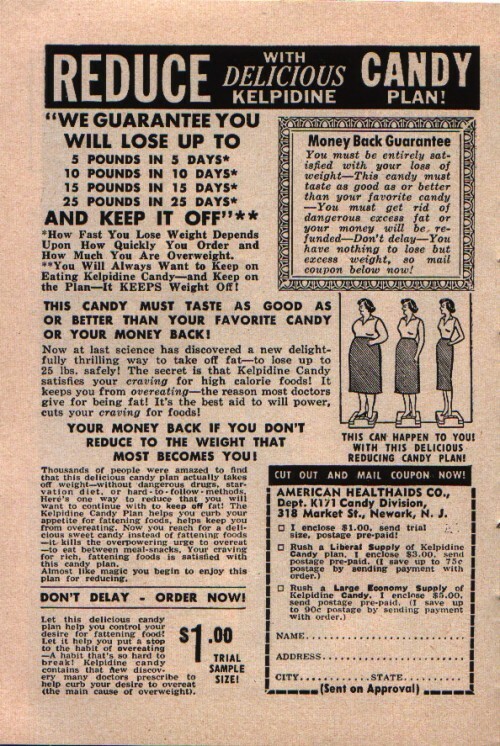 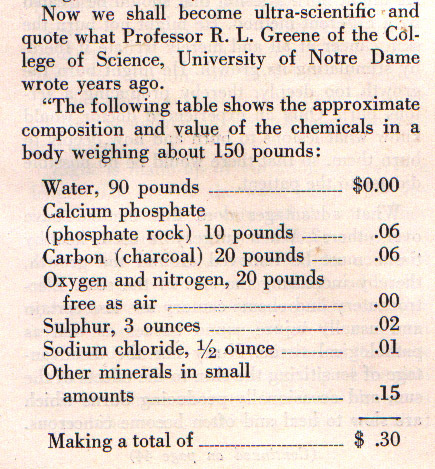 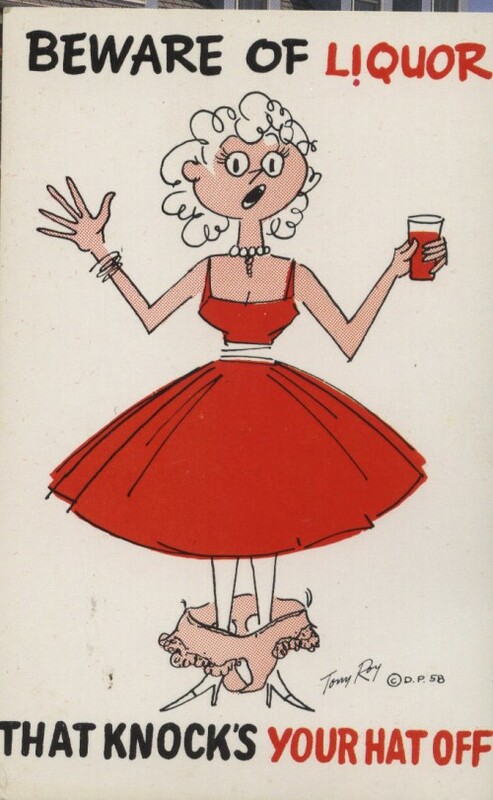 Another scan from that 1954 issue of People Today. 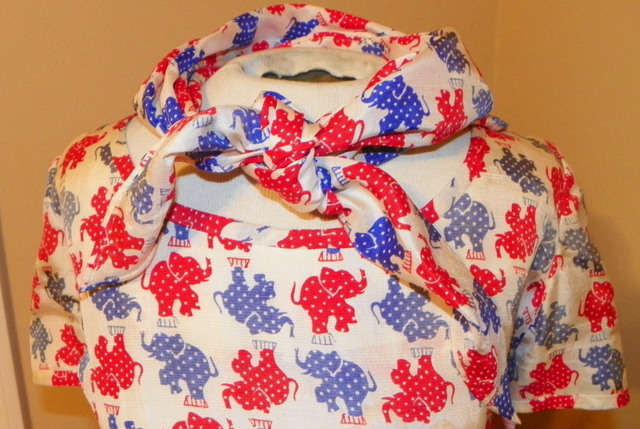 Another political novelty print… This time I guess the democrats lost their shirts in the election as this vintage novelty political print fashion item is only a skirt. 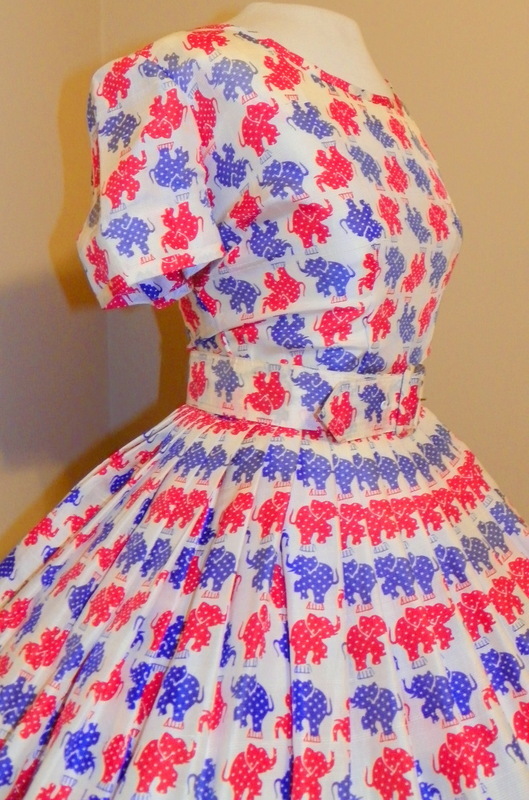 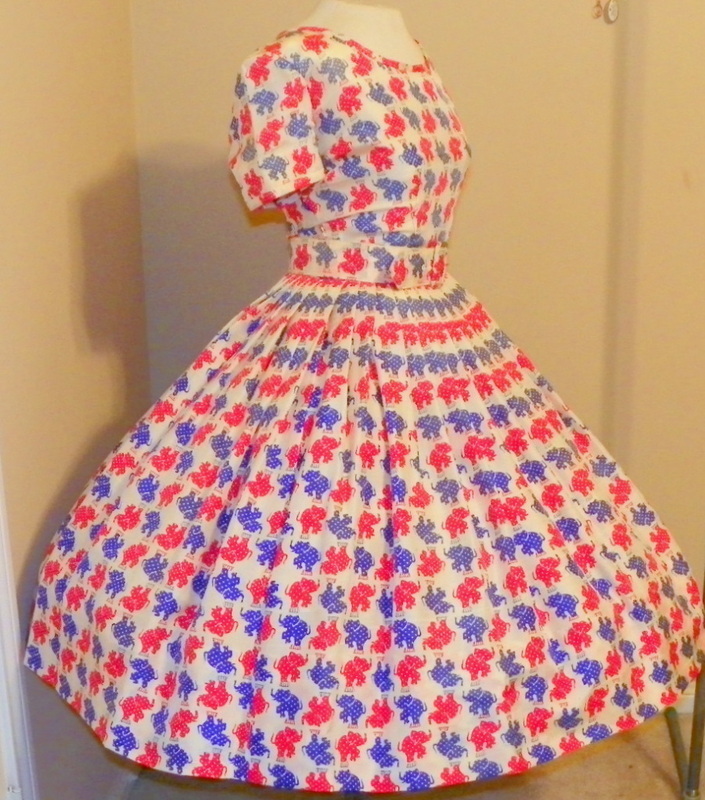 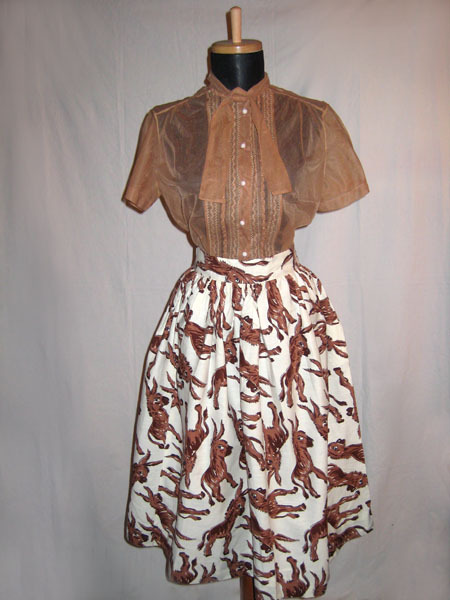 Be the belle of the republican ball with this full-skirted 1950s novelty print dress featuring red and blue GOP elephants. 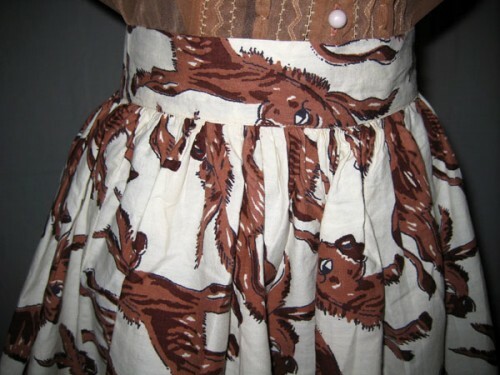 The dress has a matching print belt and scarf too. 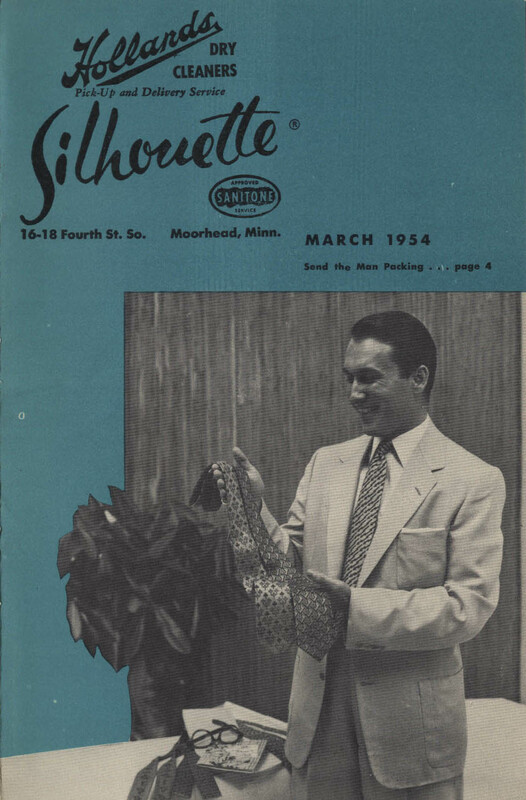 From the March 1954 issue of Silhouette magazine, a promotional booklet for Hollands Dry Cleaners, warning tips to the little woman on how to properly treat his neckties.